The Island has Derby fever — as in the annual Martha’s Vineyard Striped Bass & Bluefish Derby. Everywhere you go, there’s Derby talk – on the boat, on the shore, too small, not big enough. Facebook and instagram are full of locals showcasing their catch. The Edgartown Board of Trade has come up with a fun new addition to the Derby. It’s the inaugural year of Bass in the Grass MV. 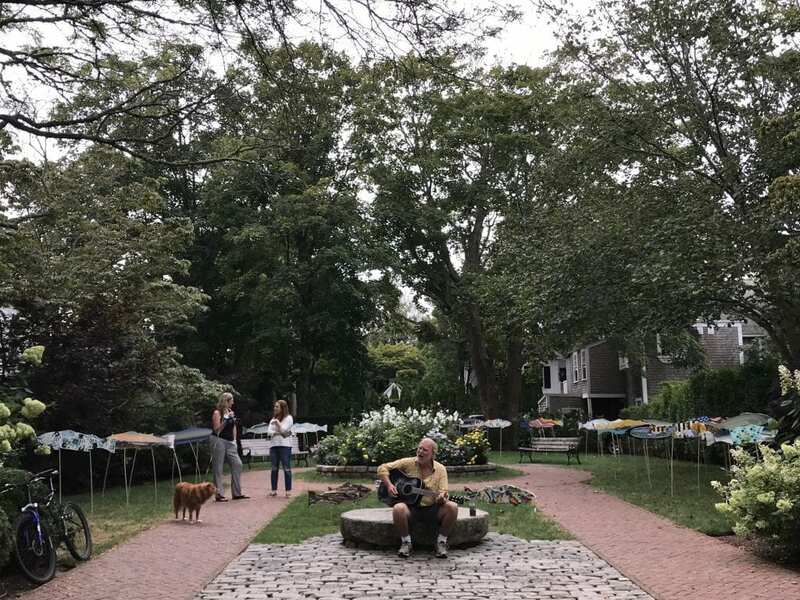 A couple of years ago, at a meeting, there was talk of Chatham’s Shark in the Park, a fundraiser that involves the artist community and has become a big town event. EBT board member, Sydney Mullen, suggested Bass in the Grass, after all it is the Martha’s Vineyard Striped Bass and Bluefish Derby! 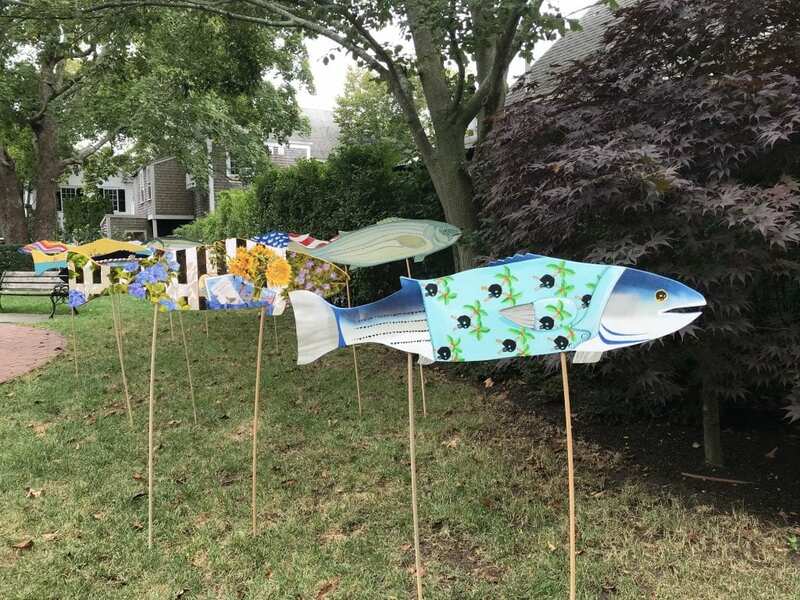 EBT executive director, Erin Ready is spearheading Bass in the Grass, and believes that this is a perfect way to introduce an artistic component and raise money for the Derby’s scholarship at the same time. Two years in the making, Bass in the Grass is happening. 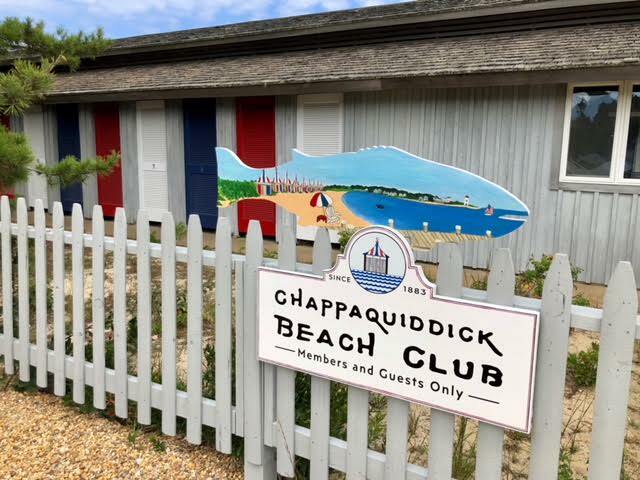 The EBT partnered with Zach Pinerio from Chappaquiddick Wood Company. 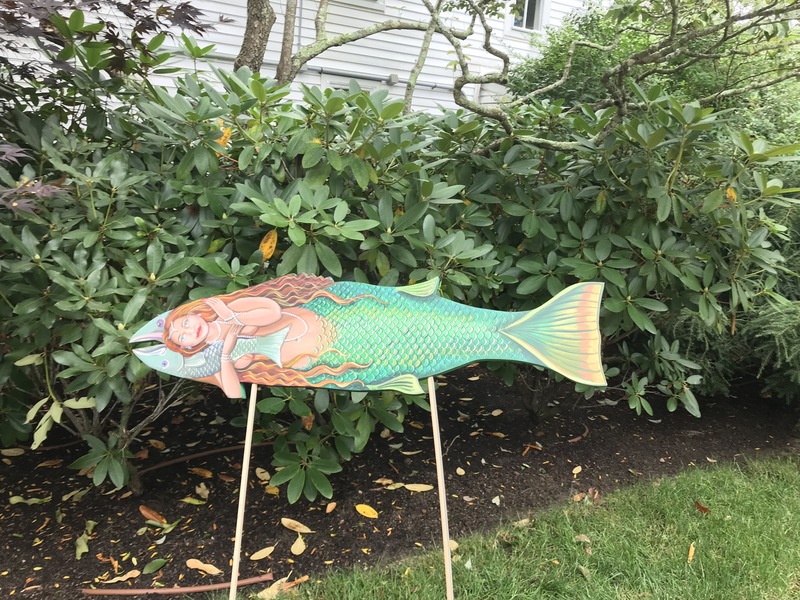 During the offseason, he cut out 50 wooden fish for artists to paint. Each fish is sponsored by a business. The business in essence “buys” the fish, and has it painted. 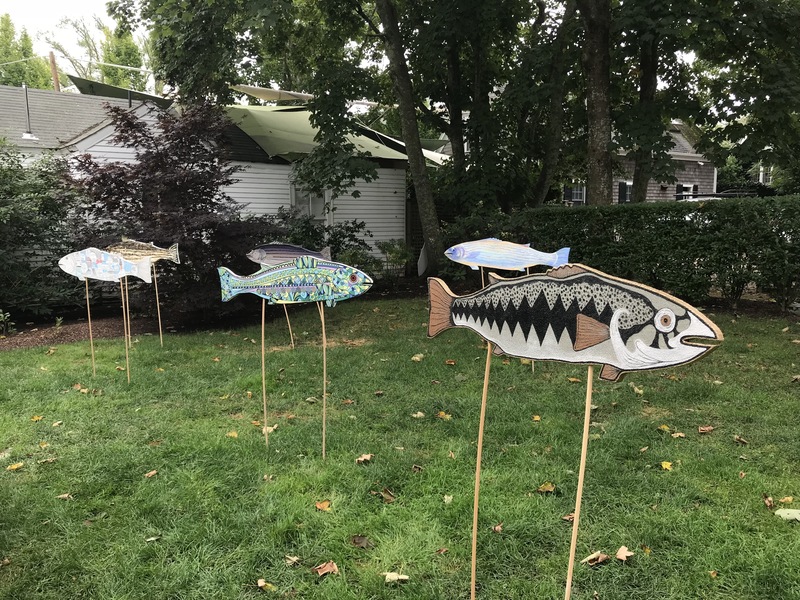 Many businesses partnered with local artist to create their Bass in the Grass. Point B Realty sponsored one and we partnered with Jasmine Thompson of Jazen’s Art Studio in Oak Bluffs. For us, it was all about Jasmine expressing her ideas. 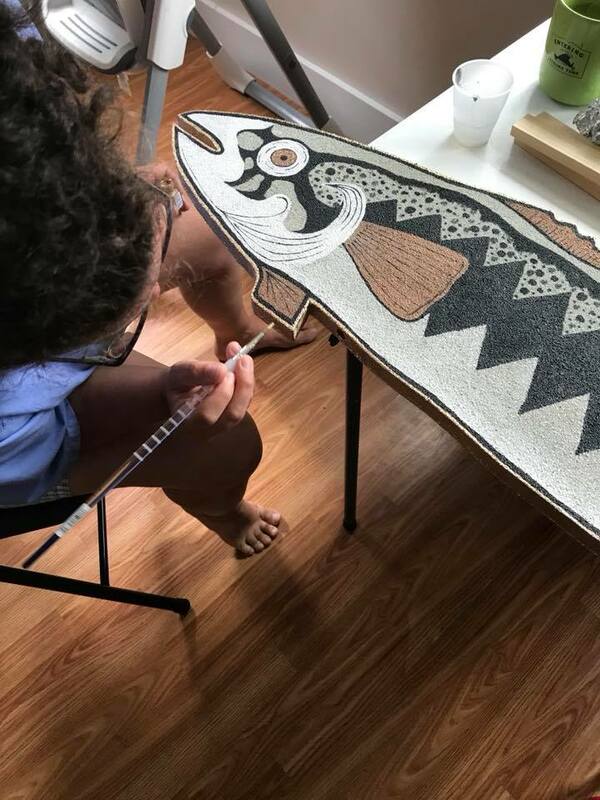 First, she coated the fish with sand, and then proceeded to paint an incredible, large mouth bass on both sides. 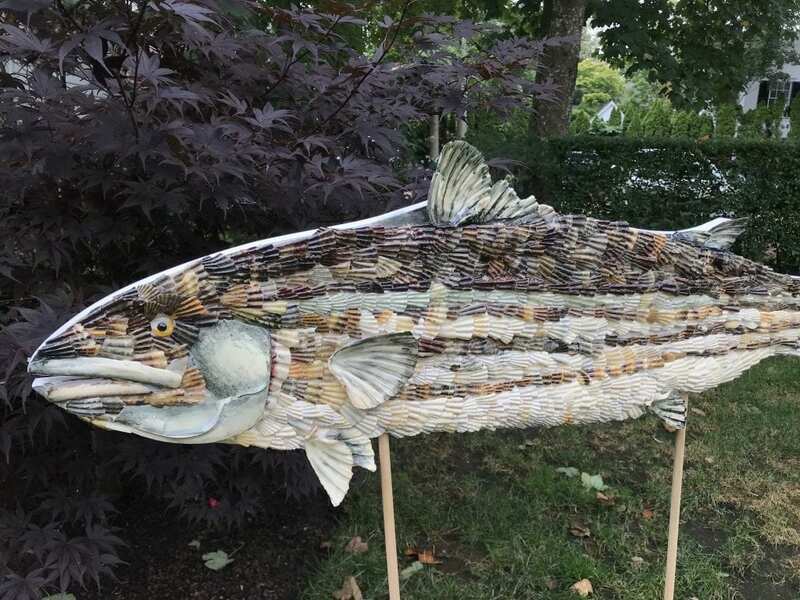 We could not be more proud to have this fish on display at the Mini Park in Edgartown. Some businesses had fun with it. 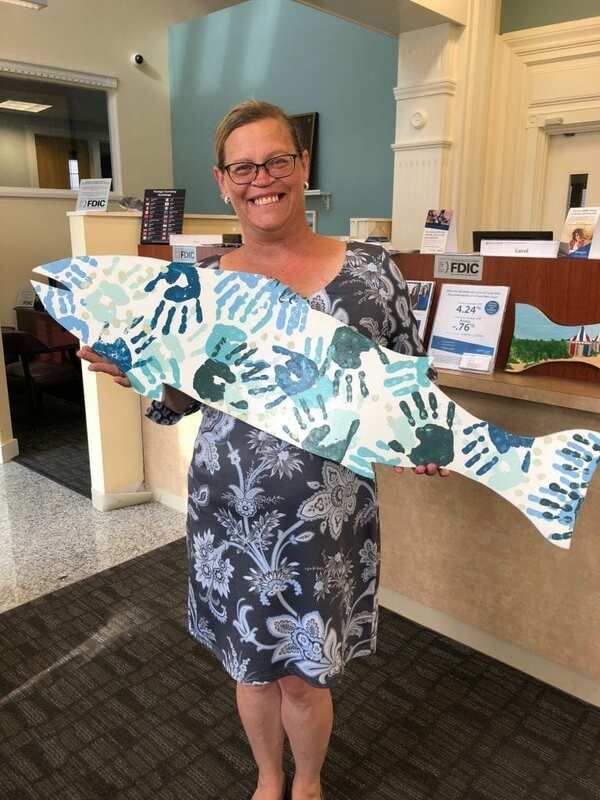 Sarah Lynch of Martha’s Vineyard Insurance, and president of the Martha’s Vineyard Boys & Girls Club, had the kids at the club create their bass. What they came up with was simply adorable. She said the kids loved doing it and it’s also going to raise money for the Club. Bass in the Grass is not only a fun way to add art to the Derby, but it’s also a fundraiser. If you go to Bass in the Grass MV website, you will find an auction in progress. Each fish is being auctioned off to the highest bidder. The auction ends the day the Derby ends, October 13th. The more money the fish are sold for, the more money the Derby’s scholarship fund gets. Half of the auction proceeds goes to the artist and the other half goes to the scholarship. It’s fun way to give back and have a great token from the Derby for your home or business. For the Edgartown Board of Trade, Bass in the Grass is a celebration of having the Derby in Edgartown. This event does so much for the town, and Bass in the Grass celebrates this. 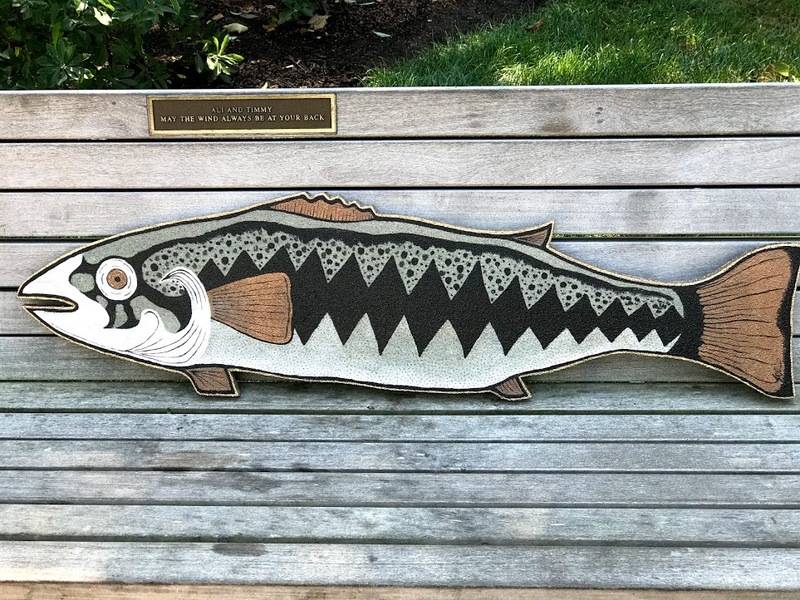 There are a number of artists, 34 so far, who have painted a Bass in the Grass, including our own Jasmine Thompson, Sarah Gail Hutcherson, Elizabeth R. Whelan, Michael David Rottman, Trager di Pietro and more. Click here for a full list. Bass in the Grass will be on display, September 13th – October 13th in the Mini Park off Main Street, right in downtown. Be sure to stop by and see this incredible school of fish and don’t forget to tag #bassinthegrassmv on your pictures! Happy bidding to all those who participate in the auction, and thank you to all the artists who created this wonderful collection of bass! Thanks for reading On Point. You can learn more about Bass in the Grass on its website, click here, and you can also bid on your favorite Bass in the Grass. Don’t forget to “Like” Point B Realty on Facebook, and follow us on Twitter, Linked In, Google+, Pinterest, Youtube and Instagram.